Momotombo volcano is a symmetrical stratovolcano rising as a peninsula above the NW part of Lake Managua, Nicaragua. It is one of the most known volcanoes of the country. Momotombo is located at the SE end of the Marrabios Range. It consists of the remnant of an older volcano which now forms a somma ridge on the southern part and a young symmetrical cone that is less than 4500 years old and contains a 150 x 250 m wide summit crater. 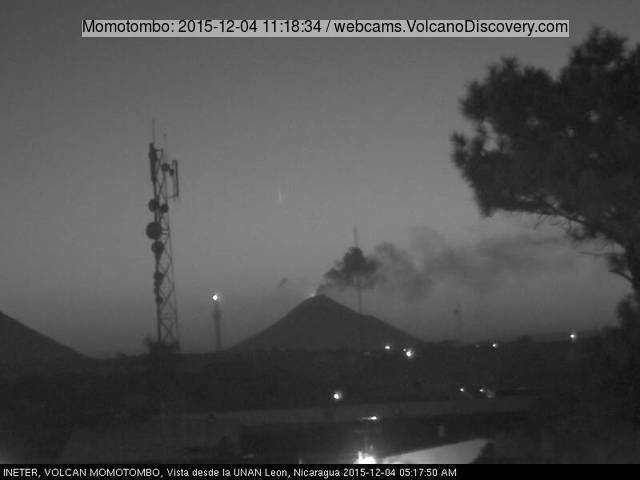 Young lava flows from Momotombo have flown down the NW flank into the 4-km-wide Monte Galán caldera. There have been frequent small ash eruptions that were reported by explorers in the past century, but the volcano has been dormant for more than 100 years now. At the moment, the activity consists of active high-temperature fumaroles and gas and steam emission. A major geothermal field is located on the southern flank of the volcano. 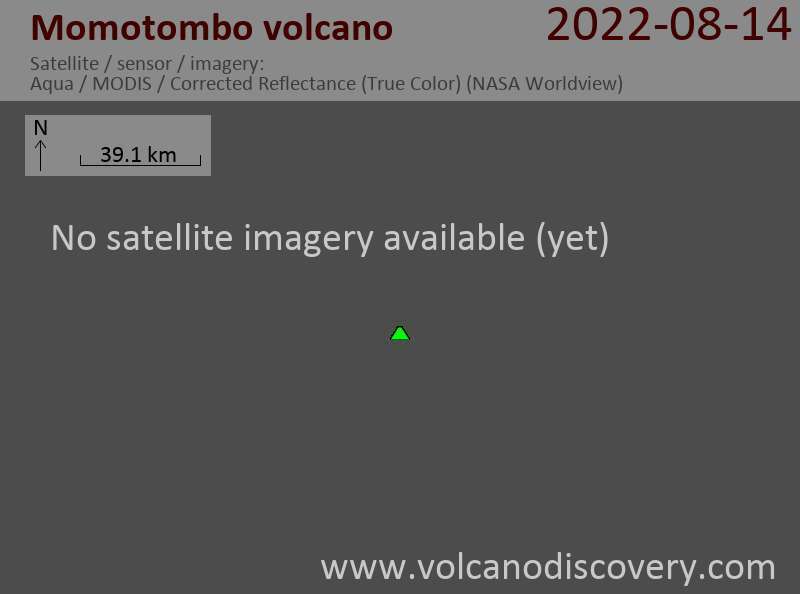 Activity at the volcano continues, but at lower intensity than during the first days of the new eruption. Strombolian explosions at the summit crater accompany the emission of a steam-ash plume rising up to approx. 1000 m, an possibly still continued, but very weak lava flow extrusion. After the more vigorous onset of the eruption on 2 Dec, the new lava flow had reached the base of the summit cone by next morning, where it had branched into two lobes. Volcano Eruption Special: 11-16 Feb 2019: short-notice special tour to see the ongoing eruption of Karangetang volcano in northern Indonesia. Starting and ending in Manado. Small group 2-6 people, experienced volcano expedition leader from our team (Andi). Divergent plate boundaries on continents: Learn about the process of breaking up continents along continental rift zones.